Seremban is one of the 7 districts located in Negeri Sembilan state, Malaysia and it is the current capital city of the Negeri Sembilan. Historically, Negeri Sembilan is influenced by the Minangkabau (derived from ‘menang kerbau’, meaning winning buffalo) culture which is most famously known for its unique roof design that resembles buffalo horns. Due to this tradition, most of the buildings in Seremban implement this feature, especially houses. Some of the most prominent buildings with this feature are like the Seremban Municipal Council Hall, the Wisma Negeri and the State Museum. 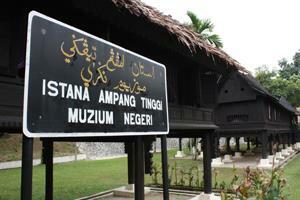 One of the most popular way to travel to this cultural city is by taking a train (KTM) or bus to Seremban. But when it comes to a shorter journey, the bus to Seremban remains the preferred choice among travelers. It is much faster to take the bus to Seremban compared to taking the train. The route for the bus to Seremban offers a number of pick-up and drop off points, but the main one is located at the Seremban Bus Terminal One, Jalan Lintang (more commonly known as Terminal One). 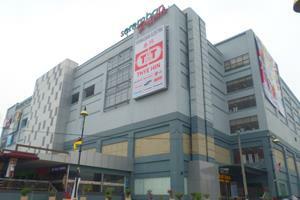 Apart from being a main bus terminal in Seremban, Terminal One is also a shopping mall. Since the Seremban Bus Terminal One is the main bus terminal in the city most of the express bus to Seremban will make pick-up and drop offs there, such as KKKL Express, Pacific Express, Maraliner, Plusliner, Billion Stars Express, Five Stars Express, Suasana Edaran, Transnasional and many more. Seremban 2, Seremban Square, Ostrich Farm, State Museum, Seremban Lake Garden, Malaysia Park, Seremban 2 Recreational Park, Port Dickson,Â Istana Ampang Tinggi Seremban. Book your tickets for the bus to Seremban today!